Look what I made! 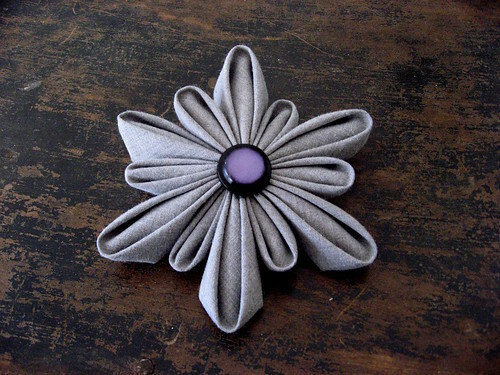 Following this tutorial, I made this pretty, tailored flower pin. 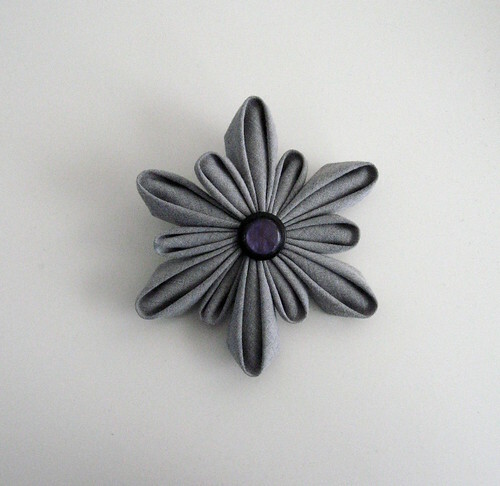 It seems a little top heavy for a brooch (maybe I need to pin it with the pin vertical? 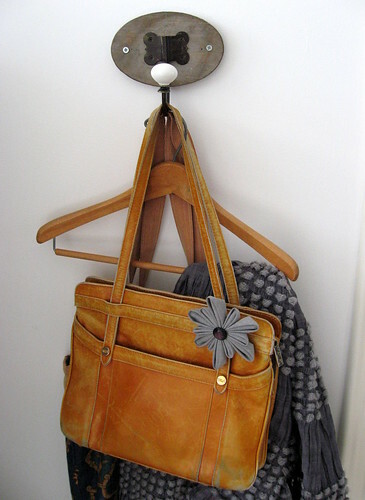 ), but it's definitely cute pinned onto a bag. I just have to figure out how to not squash it when the bag is in use! I made it out of some of the same grey shirt that I used for the bunny and for lining one of my pocket purses. The button in the middle is out of my jar of vintage buttons. Ok. That is seriously too cute. I love it! That's truly gorgeous. Looks good on the bag.